When ace lawyer, Raghuran Surya, received an order of requisition from the Government of India for his ancestral castle, he was unaware of the Sutran beneath it or his own legacy. He will have to choose between the world’s end or his own. Before long, the lawyer takes on India’s most powerful politician, Kiromal, a man utterly obsesses with power. Kiromal and his sinister Tantric advisor intend to use the evil beneath the castle to play God. Raghuram finds an ally in Sheila, a scientist who is tasked to investigate the Sutram. Using Quantum science to interpret a Vedic verse, they will have to unravel the secret of Creation to stop the destruction. Through it all, they have to be one step ahead of Kiromal just to stay alive. Now is the time to final reckoning. Will Kiromal harness the evil to rule the world? Or will the Sutram break free to eradicate the planet? Or, are Raghuram and Sheila merely pawns in an even deadlier game? What makes this book enjoyable is the mixture of a lot of things in a one go, without making anything clumsy. When a lot of things are moving simultaneously it’s important to maintain decorum for the readers, so that they can enjoy themselves to the fullest and the author has tried his best to do that. 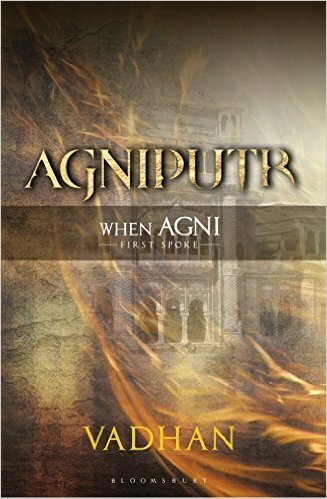 The subject that the author has chosen is really alluring because it is not widespread in Indian reading and writing community. The characterization is great and effective. Nothing more, nothing less in the name of suspense or explanations, sheer to the point context and realizations. I loved the book and my detailed version of the review coming soon.